In need for professional carpet cleaning South East London? 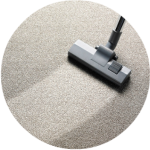 Cleaning Gurus provides carpet cleaning South East London and all of the surrounding areas. 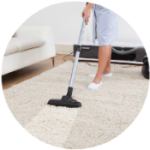 No matter where you live and looking for carpet cleaning South East London, we are there. And Yes, On Time. We cover all areas and postcodes South East London, and you won’t have to worry about additional travel and other expenses. You come home from work and suddenly come to realize, that the cute pet you have been playing with for a while now, leaves its mark on the carpet. Or maybe your toddler spilt a glass of chocolate milk while you were away to the grocery store. Or you just need to refresh all of your carpets with a deep cleaning. We know the struggle when you need team of cleaners in short notice. This is where we come in. Or more specifically, our professional carpet cleaning team. 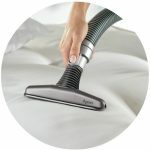 We use a high-end brand of products and equipment appropriate for your carpets in order to perform a deep cleaning of your carpets and deliver the best results you could hope for. For the past 20 years, our cleaning services have been consistently recommended by our happy clients, allowing us to grow and build a solid reputation for being one of the best cleaning companies providing carpet cleaning South East London.If your house needs carpet cleaning South East London, just give us a call or fill out the form and we will do the rest. The carpets will be as good as new. The stains will be gone without a trace, the carpets will smell as if they were just bought and the carpet cleaning will be finished in less than two hours. The best part is, the carpets will be completely dry in just a few hours. You can now enjoy the feeling of freshness and just relax.